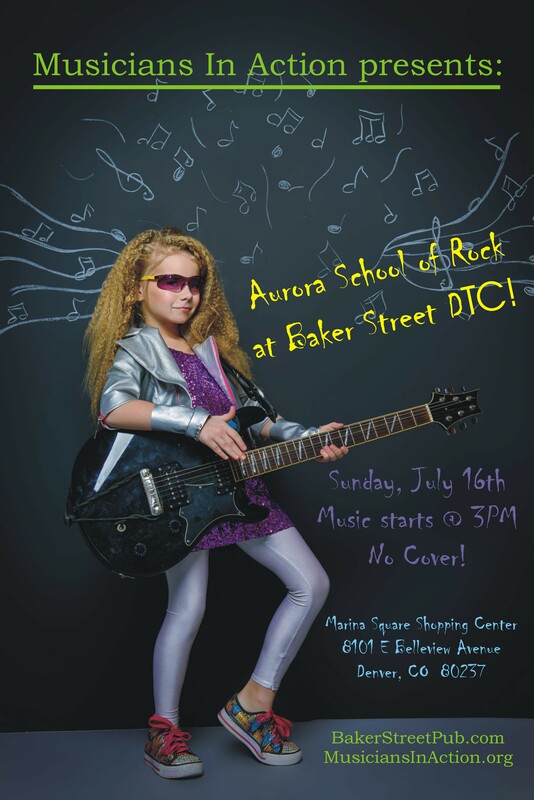 Musicians In Action return to Baker Street DTC for another matinee show on Sunday, July 16th (3-7pm). Thank you, Aurora School of Rock, for supporting M.I.A. at this event. Proceeds will be donated to the Gathering Place, a critical day shelter for women and children experiencing poverty and homelessness. Please join us!